How do I become a better runner? For most of us, the answer to that question would seem obvious. “Run more, practice makes perfect”. While this is good advice to those that are just starting out in the discipline, as you progress in running the margins get thinner and improvements begin to slow. This is where the introduction of targeted training can drastically help your improvement. What do we mean when we say targeted training? Targeted training, as the name suggests, aims to pinpoint specific aspects of the sport you’re training for. For example, in triathlon, we would first split the sport into its sub-disciplines, dissect what aspects of each discipline will affect performance, and then train those specific aspects. For example, take the sub-discipline of running. We have a variety of distances to choose from so let’s say we are training for an ITU long, and we need to add specificity to our training to improve our 20k run section of the race. Given we have good 4-6 months before race day we can break down the components of running, build strength in the right areas and then subsequently work on perfecting our technique. As we get closer to race day, the focus will shift from strength and conditioning to race-specific training (more runs rides, swims, less developing the physiology). What are the areas of focus to improve my running? 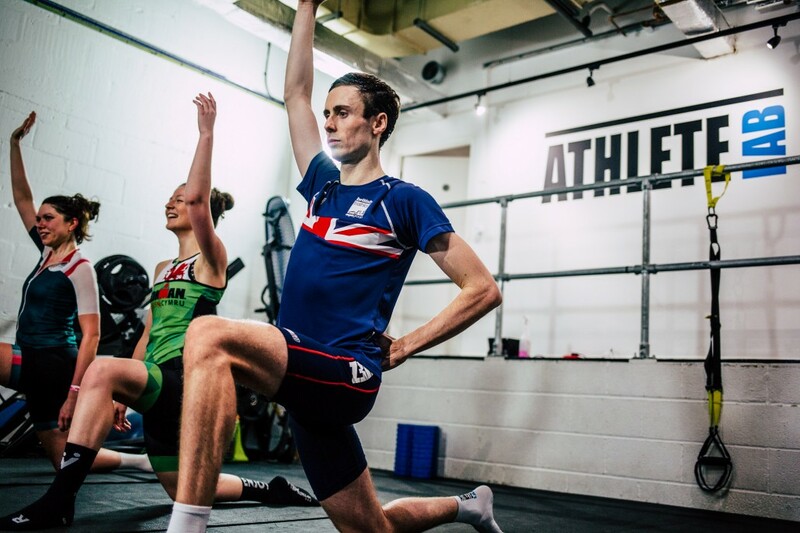 Stability – with each bound, the stabilising muscles around our ankles, hips, andcore have to put in work to keep us upright and keep our momentum in a forward direction. When our stabilising muscles are weak, we will find there is more movement in the lateral plane (side to side). This makes our running technique more inefficient and slower, as it takes more time and energy to maintain forward momentum. Adding stability exercises to our workout can make running more efficient and comfortable. Muscular endurance – Running longer and longer distances can improve aerobic endurance (getting oxygen to the working muscles more effectively). But to get faster times, running alone is an inefficient method of training. Endurance athletes go through strength based training to improve the right muscle groups in the right way. Intensity and volume can be manipulated to focus on particular aspects of strength. For example, low intensity, high volume training strengthens endurance specific muscle fibers. A step up from running which is very low intensity, very high volume. Lifting weights at approximately 50 – 65% of your maximum, for 12-15 repetitions, and for at least 3 sets will begin to build the muscles fibers that are keyfor endurance sport. With stronger muscles (specifically endurance based muscle fibers) we can now generate more power with each stride whilst staying below our threshold. Flexibility – having a good range of motion can create an improved stride pattern when running. Bigger strides aren’t always better, but having the ability to reach a range of stride patterns that are more natural and more efficient for a given speed will greatly improve run times. Beware, being too flexible can increase the likelihood of injury. Therefore it is advised to maintain a range of motion that works for you. These are three key factors that can drastically change your running time for longerdistances. As we get to shorter distances, strength and power training come more into play as speed and sprints start to play an even bigger role in a race.